Researchers found children were taken away from their parents by local authorities in more than 90% of cases. The research was carried out by the Universities of Brunel and Manchester and funded by the Nuffield Foundation. This is the first time such data has been produced. Nicholas Crichton recently retired after many years as a judge in the family court. He said: “The work of the family courts for years has been removing the second, the third, the fourth child from the same mother. Not infrequently the sixth, the seventh, the eight. According to the research, half the women involved are 24 or below at the time of the first care application, with the youngest being 14. Their babies are often removed quickly, at birth or soon afterwards. 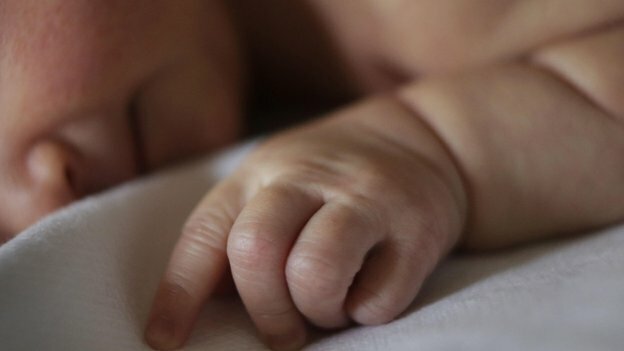 Dr Karen Broadhurst of the University of Manchester, lead author of the research, told the BBC that “in approximately 42% of cases, infants were subject to care proceedings within a month of their birth, which is an important finding”. She also said the gaps between care proceedings were short for these mothers. “We think there is an average of 17 months between the first time a mum appears in court with an infant and the second time she appears in court with another infant. Dr Broadhurst argued that the research demonstrates the need for family courts to change their approach, to help these women change their behaviour. One pioneering new approach is that of the Strengthening Families Project, funded by Salford Council. 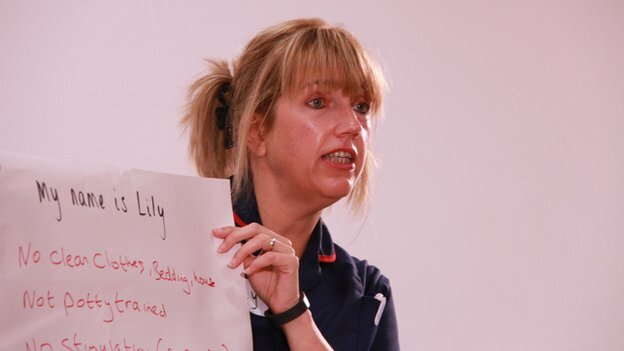 A community midwife, Wendy Warrington, and a specialist social worker, Elly Siddall, run workshops for pregnant women who risk losing their new baby, because they or their partner have already had at least one child taken into care. Their approach is direct and hard-hitting. One Thursday afternoon, in a health centre in Eccles, Ms Warrington told a group of mothers-to-be about the side effects of drinking during pregnancy. The women were visibly shocked. More disturbing images followed, of babies damaged by drug-taking mothers. One woman broke down in tears, worried she had already hurt her child through drinking. The project has been running for two-and-a-half years and early results are promising. More mothers are succeeding in keeping their babies at home. For Salford Council, that is money saved – foster care is expensive. For the mothers who keep their babies, it is a new chance. She became pregnant again – and the new baby was taken away from the hospital very soon after birth by Salford Children’s Services. She was devastated, suffered from postnatal depression, and missed her two babies. Like many women in this situation, she wanted to have another child as soon as possible. For her third pregnancy, however, she came to the Strengthening Families project. Ms Warrington and Ms Siddall also provide informal support to the mothers in the project, regularly calling them, sometimes visiting at home, to make sure they’re looking after themselves and their unborn child. The team help write reports for the Family Court. This project has been going for two-and-a-half years, whereas the pioneering Family Drug and Alcohol Court (FDAC) set up by Mr Crichton in central London has been running since 2008. Last month the Nuffield Foundation found FDAC had helped 35% of mothers become reunited with their children, compared with 19% in the ordinary family courts. The FDAC has its own team of experts, doctors, therapists and expert social workers from the Tavistock and Portman NHS Foundation Trust and the children’s charity Coram. Most parents in care cases have problems with drugs or alcohol. The FDAC’s team helps them kick their addictions and, like the Strengthening Families Project, teaches them how to be better parents. It is funded by London local authorities who, like Salford, recognised the benefits to their budgets of keeping children out of care, even though the cost of this court is higher than that of the ordinary family court. One other FDAC has been opened in Gloucester, another is planned, but so far expansion has been slow. This spring the president of the family court, Sir James Munby, praised the court and said: “FDAC is – it must be – a vital component in the new family court.” He has said there should be an FDAC in every family court in England. Nicholas Crichton believes the new research underlines the need for the expansion of projects which help parents break the destructive cycle. Sanchia Berg’s report will be on the Today programme on BBC Radio 4 on Monday 23 June. Are you, or is someone you know, affected by the issues in this story? You can email your experiences to Haveyoursay@bbc.co.uk using the subject Care Cases.